Married women in developing countries who have an unmet need for contraception, meaning they wish to avoid pregnancy but are not using any contraceptive (traditional or modern), generally cite one of several key reasons for not using a method. The study on which this infographic is based was made possible by grants from the Dutch Ministry of Foreign Affairs and the UK Government. The views expressed are those of the authors and do not necessarily reflect the official policies of the donors. 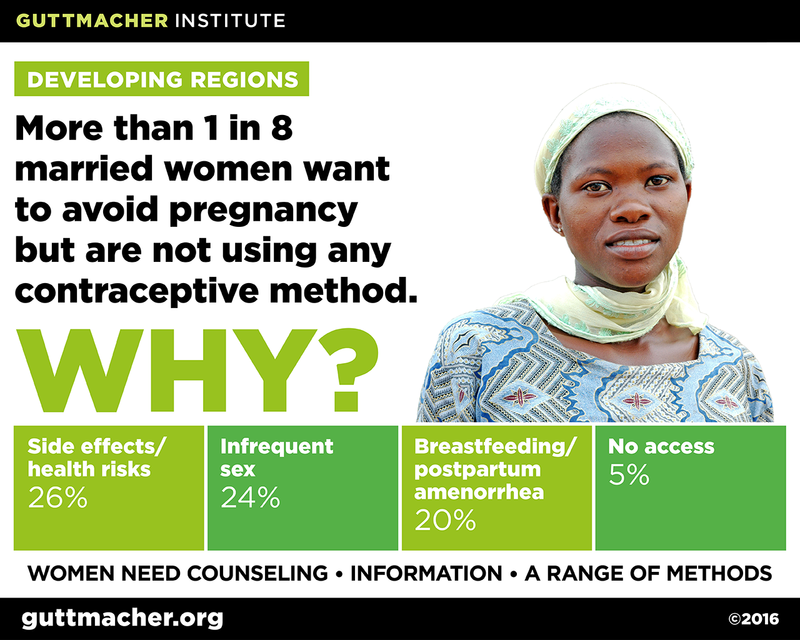 Sedgh G, Ashford L and Hussain R, Unmet Need for Contraception in Developing Countries: Examining Women’s Reasons for Not Using a Method, New York: Guttmacher Institute, 2016.